Design Tide 2007 came together with a ton of help from everyone at Tomorrowland. 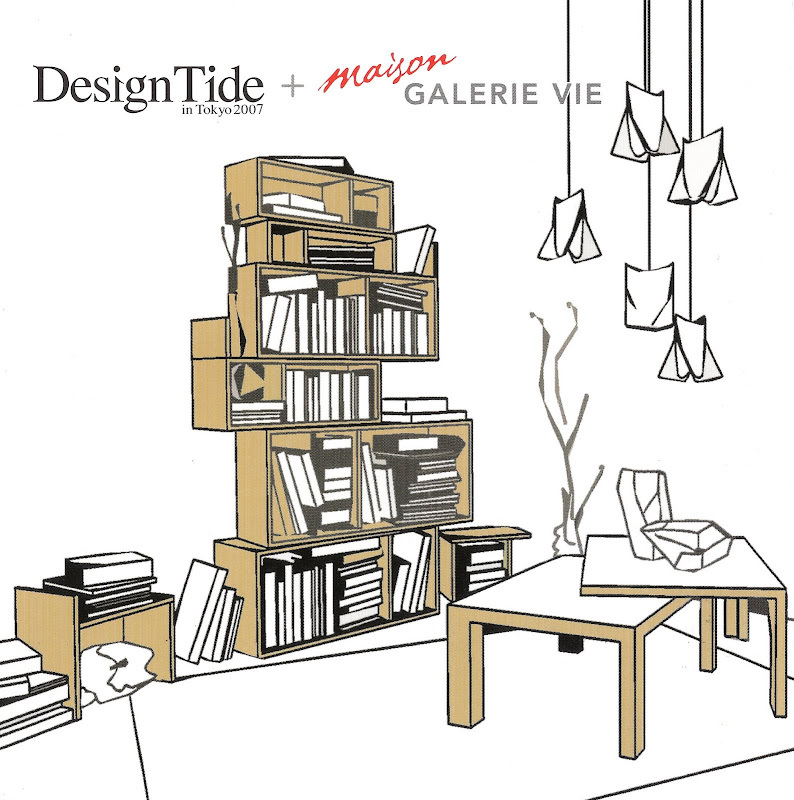 Together we set up the Clutter Series at their Maison Galerie Vie boutique in Aoyama. On display were the clutter shelf, clutter table, and a massive front window lighting installation. Guests made their own paper lamps and decorated them with "mushihanko" insect stamps, turning a normally unwelcome event into a design feature. In fact, during setup, a real fly landed on one of the lamps and everyone got really excited and started taking photos!